I just finished reading a really fun short story collection. American Housewife by Helen Ellis is a hoot! The stories are about, and usually told by, a housewife. 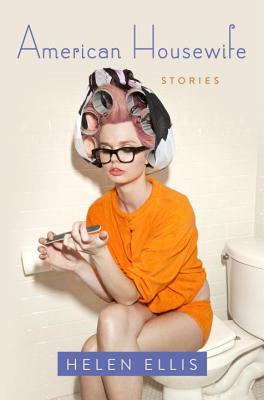 These stories range from really just a few pages to much longer and all cover interesting subjects; like the social life in a co-op apartment building, southern "little miss" pageants, the silliness of reality tv shows, bra fitting, and the stress of author book contracts. These stories all are paired with the driving importance of marriage, happy or not. Helen Ellis's writing is laugh out loud funny, snarky, and sometimes horrifying. I enjoyed this book a lot.